If you’ve been paying attention to Juice Make Sugar this week, you know we’re pretty happy with what’s been going on in WWE. Wrestlemania was a masterpiece. Raw the next night was about as perfect a free show as I’ve ever seen. Mainstream wrestling is at a recent peak. Suddenly, all that “new boom period” talk doesn’t sound so outlandish. But come on, you know there has to be something to make me angry, right? Just like Matt Hardy’s waistline, this gimmick will not die. In the months since the rumors began, I’ve anxiously awaited the announcement of Jeff Jarrett’s new wrestling project. Let’s face it—Jeff has been the driving force between some pretty good ideas. TNA, though never even close to profitable, has seen some good days. Ring Ka King was a good idea, capitalizing on a new market. We’ll ignore that All Wheels Wrestling gimmick. Monday after ‘Mania, Jeff put out his press release, announcing Global Force Wrestling. I groaned. First off, the little things. The logo looks like something out of the 80s. It works for a throwback on the WWE Network, but not for a new promotion in 2014. It looks downright silly. Something simply and sleek would have been a LOT better. At least there’s time before the promotion starts running shows, where they can change up and modernize the logo. The name “Global Force Wrestling” sounds like a teenager’s fantasy promotion. The problem is Jarrett isn’t looking to run an e-fed, and he’s not playing EWR. This isn’t a Saturday night show in Universe Mode in WWE 2K14. It’s millions of dollars in investments, and months and years of planning. You can’t afford to look silly. It’s still a better name than TNA. My big problem, though, is with the release itself. It offers no real information, nothing of any substance. It reads like the introduction to a pyramid scheme. It tells us Jeff has traveled the world searching for talent (which we saw in a handful of half-hearted Vimeo videos. Seriously, Vimeo? ), and tells us there are already hundreds of wrestlers in the GFW “database.” Okay. GFW also says it wants to hear from the fans, and give the viewers what they want. Okay. Global is promising more announcements, with the next coming on April 14th. I’m holding out hope on a couple of very important factors. They need to announce a TV deal. Good luck. Without a distribution deal, this promotion is D.O.A. With the WWE Network delivering unlimited content on a nearly infinite basis, fans are much less inclined to go out of their way to seek out an alternative. Saturday at 6:05 wouldn’t be a bad idea. The other announcement Global needs to make involves money. Whether it’s a major sponsorship deal, or a very wealthy partner, GFW needs to make it clear that they’re here to play. ROH isn’t generating any cash. TNA never has, which is painfully obvious now, as the company has cut almost all highly-paid talent from its roster. It reeks of failure. If Global Force can show that they can afford to put their money where their mouth is, they stand to bypass competitors that are #2 and #3 in name, only. Until then, Global Force Wrestling sounds like an over-hyped sham. I’m remaining cautiously optimistic (it’s a new look I’m trying out this Spring), but if this promotion flops, I’m going to be REALLY angry. As I mentioned in my Raw Review, I’m definitely a Bandwagon BOliever. I’m also hopping onboard the Exotic Express. It’s not just because of really well-produced promo videos, either. WWE just introduced two guys with cool new gimmicks, and seem ready to strap the proverbial rocket to their backs. Considering how well WWE has done over the last year or two with new talents (read: The Shield, The Wyatt Family, Big E, Cesaro…), I’m anxiously waiting to see how WWE turns these two guys into GOLD. Much like his brother, Bo Dallas flirted with the main roster a year or so ago, before disappearing back to NXT to reinvent himself. And much like his brother, he did a damn good job of it. Adam Rose is a great gimmick (and entrance) that seemingly came out of nowhere. WWE doesn’t always do too well when introducing new characters to the big show. Not you, Mr. Wight. It’s not always WWE’s fault, nor the performer’s…but it happens. Take a look at Fandango. The former Johnny Curtis was introduced to WWE fans for the first time with a clean win over Chris Jericho, just one year ago at Wrestlemania. He was in line for an Intercontinental Championship match, but a concussion seemed to cancel that. Now, he’s a total afterthought, feuding with Santino, in an effort to put over my favorite Australian diva. And while I’m remaining optimistic (there it is again), WWE doesn’t seem to be doing so great with Emma, either. A buddy asked me who he should pick up in his fantasy league—Dallas or Rose. That got me thinking hard on who WWE is going to invest in now, and long-term. Adam Rose’s gimmick is flashy and attention-grabbing—much like Fandango’s dance routine, the glittery entrance, and the sparkly 90s fireworks. It’s going to get over fast—but then what? Will Rose’s ring work be enough to keep the heat? Will WWE stand by him long enough to let him get over, and rise up the card? Or will WWE let him get just over enough, then let him float in the midcard? I have more faith in WWE when it comes to Bo Dallas. His gimmick is so wonderfully meta that it’s addicting. It’s like his personality finally caught up with his ring work. The heel that thinks he’s a face but knows he’s a heel acting like a face gimmick is just so good, and he plays it to perfection. It might start a bit slower than the Adam Rose schtick, but I think it will last much longer – and see him rise much higher. What I do know is that if WWE manages to Fandango either of these guys, I’ll be pretty angry. WWE doesn’t need more mid-card job guys. We need more Shields, and more Wyatt Families. When the talent and the gimmick is there, there’s no excuse for potential stars to become the next generation of 3MB. That shouldn’t make me angry. That should make EVERYONE angry. I’m not going to pretend I was a life-long fan of the Ultimate Warrior. I’m a lot of things, but a liar isn’t one of them. That said, I can definitely respect the man’s impact on professional wrestling, and professional wrestlers. The amount of guys who have come out this week, saying Warrior inspired them to enter the business, or inspired part of their character, explains it all. Warrior’s sudden passing is, and will continue to be, very shocking. It seems like it may have been something that could have been prevented, if warning signs were caught long ago. It’s sad, and I feel terrible for his wife, and his daughters. There is a big part of me that is happy for Warrior, however. The man got to end years of bitter feelings between himself and WWE. His family got to see him inducted to the WWE Hall of Fame, an honor long overdue. His fans got to see him one more time in a WWE ring, and Warrior got to say goodbye. The promo that he cut on Raw is now eerie to listen to, and think about. But it seems Warrior’s head was in the right place. He was happy to finally come home. 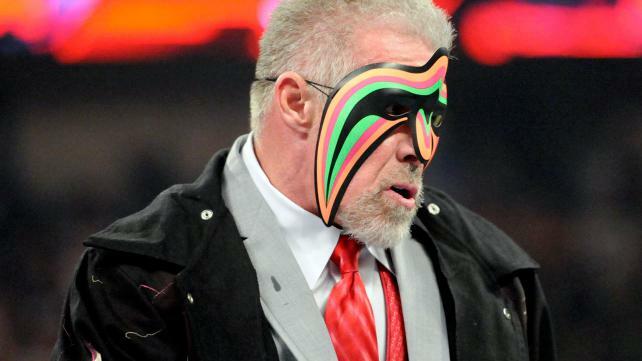 I’m very happy that mainstream journalism has been very respectful to Warrior, in regards to his passing. He deserves it. The ‘pro wrestler’ tag often leads to blatant disrespect, but not here. But I said mainstream media, not mainstream journalism. Nancy Grace went out of her way to demonize professional wrestling, much in the way she did after the Benoit murders. You know, how Benoit snapped after being demoted from The Four Horseman to WWECW. Warrior died in 2014 due to steroid and drug use. I’d let this make me angry, but the Internet Wrestling Community was way ahead of me on this one. A petition to pull Nancy Grace off the air? I won’t be upset if you sign. In the next few days, and weeks, you’re going to see a lot of tributes to the Warrior, and probably some back-peddling from folks who had some not-so-nice things to say over the years. My suggestion? Watch the promos, watch the big matches, and just have fun. If Warrior Is your guy, let his legacy live on through his body of work. Recommend the matches and promos you liked. Cheer on the new stars, and the indy workers who make you feel the way Warrior made fans feel in the 80s and 90s. Live. Farewell, Warrior. Thanks for being part of what made, and continues to make, professional wrestling so much fun.